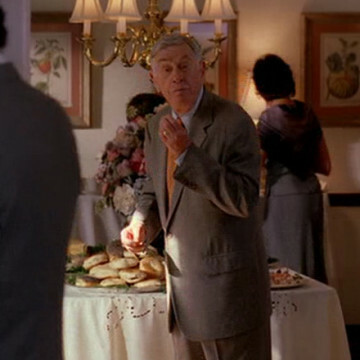 Shelley Berman makes a quick appearance in season three’s seventeenth episode as Mrs. Ari’s Uncle Shelley. See him near the twenty-minute mark sneaking a pre-dinner snack before the family’s Yom Kippur feast. Shelley also played the recurring part of Nat David on neighbor series Curb Your Enthusiasm during seasons three through seven.